Listen N Write is a small program which may be used to transcribe audio files, though it could use some work. The actual program is rather small and may be why it doesn't work so great in some situations. Though unlike programs which may be similar, it does not utiltize Microsoft voices. Using Listen N Write is rather straightforward and can be used with keyboard shortcuts. The text editor is basic. In the end, this tool may be useful for transcribing lectures and interviews for students and journalists respectively. 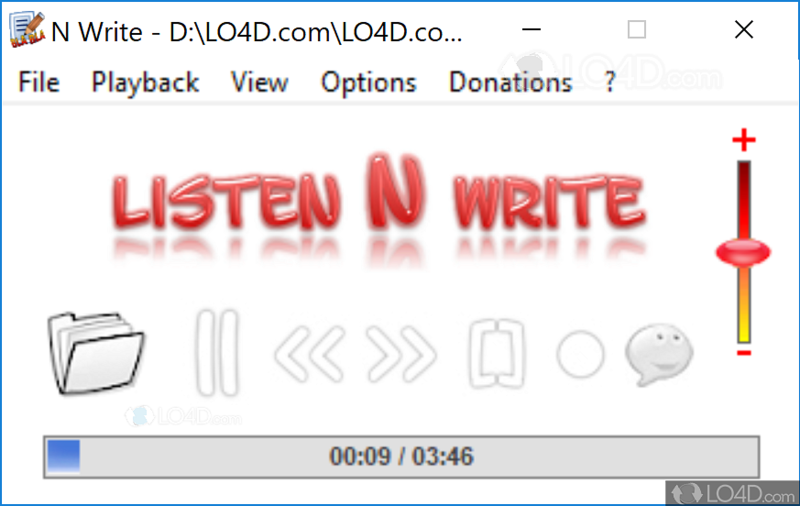 Listen N Write is licensed as freeware for the Windows (32-bit and 64-bit) operating system / platform from educational software without restrictions. Listen N Write 1.20.0.1 is available to all software users as a free download (Freeware). Compatibility with this software may vary, but will generally run fine under Microsoft Windows 10, 8, 8.1, 7, Vista and XP on either a 32-bit or 64-bit setup. A separate x64 version of Listen N Write may be available from Elefant Software. This download is distributed as Setup-Listen-N-Write-Free.zip. 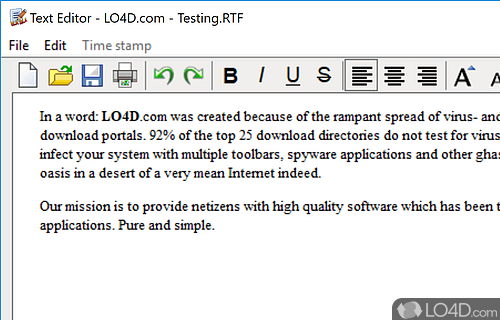 We have tested Listen N Write 1.20.0.1 against malware with several different programs. We certify that this program is clean of viruses, malware and trojans. 3.6 out of 5 based on 28 ratings.